Provide comfort for the family of Jose Torres with a meaningful gesture of sympathy. Jose Luis Torres was born on August 25, 1944 in Monterrey, Mexico to Juan Torres and Maria Antonia Suarez. Jose passed away on Sunday, February 10, 2019. 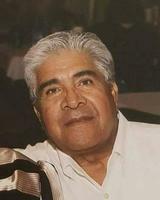 Jose was a member of The Church of Jesus Christ of Latter-Day Saints for over thirty five years. 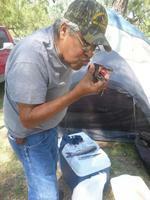 Jose was a faithful man and was proudly involved with the church. He met the love of his life, Rosie Martinez, and married on July 25, 1963. 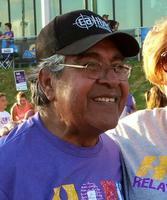 Jose’s hobbies included fishing and camping, whistling his favorite songs, tinkering with old cars and watching the Pittsburgh Steelers. He loved and adored his grandchildren. Jose never met a stranger and to know him was to love him. Jose is preceded in death by his mother, Maria Antonia Suarez; brother, Carlos Torres; and sister Margaret Ramirez. Jose is survived by his wife, Rosie Torres; son, Joe Luis Torres Jr.; daughters, Sandra Crespo and husband Luis A. Crespo, Juanita Torres, Deanna Torres; his brothers, Robert Torres, Ezequil Ramirez and Juan Serrano; twelve grandchildren and seventeen great grandchildren. Visitation will be held all day Tuesday, February 12, 2019 with family present from 5pm to 7pm at Shaffer Funeral Home’s Sherwood Way Chapel. Funeral Service will be at 1pm on Wednesday, February 13, 2019 at The Church of Jesus Christ Latter-Day Saints. Burial to follow in Glen Rest Cemetery in Big Lake, Texas. Services are under the direction of Shaffer Funeral Home/ Sherwood Way. To send flowers in memory of Jose Luis Torres, please visit our Heartfelt Sympathies Store. Provide comfort for the family of Jose Luis Torres by sending flowers. My condolences to the Torres family during this difficult time. In the Bible, Jehovah God gives us hope. Acts 24:15 says, “there is going to be a resurrection of both the righteous and the unrighteous.” Revelation 21:4 says, “and he will wipe out every tear from their eyes and death will be no more.” Very soon we will see the fulfillment of these promises here on Earth. We hope you find comfort in God’s promises.